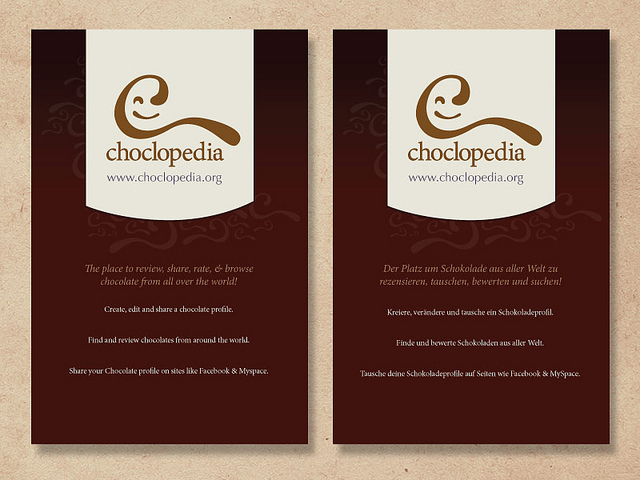 Choclopedia is pretty self-explanatory-- it's a choclopate encyclopedia. 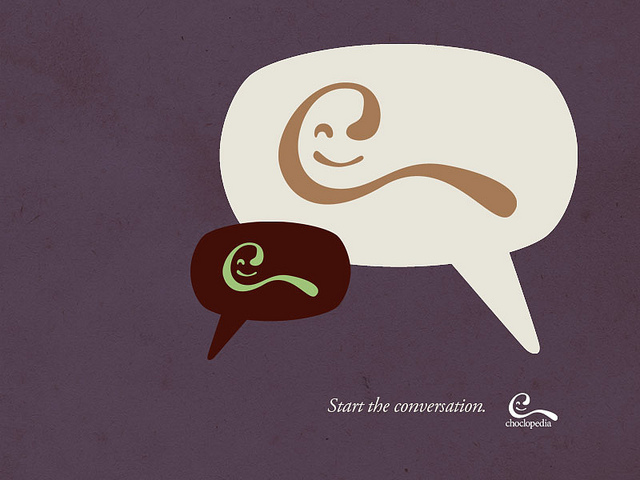 But Choclopedia is more than just a reference: it's a social media platform for chocolate lovers and chocolate producers to come together and discuss all things chocolate. From the outset we built Choclopedia from the ground up including the logotype and aesthetic. The logo variations all hinged on the idea of an anthropomorphized "C". 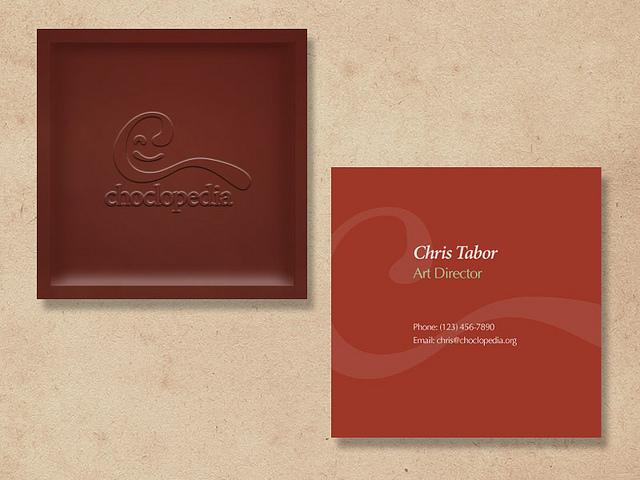 The choclopedia face was an instant hit with everyone who saw it and it was a lovable character with memorable aesthetic quality. The logo and it's three variations: full color, black and white. The color palette chosen was mostly pastels, to give it a sophisticated and rich (rich as in chocolate, not money) feel. Chocolate lovers are very partial to the subtleties of taste, so the colors were equally critical. The final logo in all it's glory. I really love the lowercase lettering and subtle type modifications--can you spot them? I even made a series of icons for the website, using a similar aesthetic as the logo itself. The business cards were especially fun to design. I had the idea of making them into a square shape, versus the standard 3.5"x2" you often see. This enabled me to make the back into a faux "embossed" chocolate look, a perfectly simple indicator as to what choclopedia is about. No need for words or illustrations. We also made posters that could be distributed both here in Seattle (and Eastside) as well as in Hürth, Germany (near Cologne.) My partner in crime, Dan Bair, is fluent in German and was able to write the copy for the German posters. 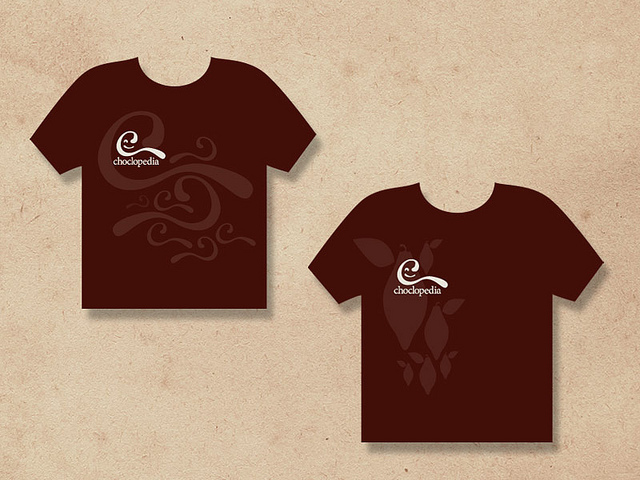 We also extended the brand into t-shirt designs, used for promotion of the site. The first design uses illustrations of the logo, and the second designs uses silhouettes of actual chocolate pods from a cacao tree. I also made some adverts using the custom icon designs and logo icon. This was a truly fun project and tested many of my skills in design, especially the complexity of creating an overarching aesthetic that could extend across many contexts for the brand. I did everything from design to UI and icon design as seen above. The only left now is to join choclopedia for yourself! So why don't you join choclopedia today?